Jakob Wefers studied Human Movement Sciences (B. Sc.) at the Ruhr-University in Bochum, Germany. After completing his Bachelor degree he worked as a therapist in a rehabilitation and sports therapy clinic. In 2013 he began to study the Master program Biology of Human Performance and Health at Maastricht University. During his Master he did an internship in the Diabetes and Metabolism Research Group. Jakob did a second internship at the Translational Research Institute for Metabolism and Diabetes in Orlando (Florida, USA), where he completed his Master degree. In 2015 he started as a PhD student in the department of Human Biology. 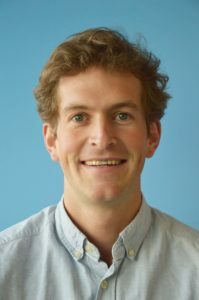 Under supervision of Patrick Schrauwen and Matthijs Hesselink he investigates the impact of the biological clock on metabolism with a focus on insulin resistance and type 2 diabetes mellitus.